Robert Palmer practises in the fields of public, regulatory, EU and competition law. A large proportion of his caseload concerns the cross-over between these areas. He has particular expertise in commercial judicial review proceedings in the Administrative Court and Competition Appeal Tribunal. He has appeared on multiple occasions in the Supreme Court and Court of Appeal. Robert’s EU law practice extends to frequent appearances in the Court of Justice of the European Union. Robert’s wide experience includes work in the aviation, energy, financial services, pharmaceutical and telecommunications sectors. In addition, he has considerable judicial review experience in the areas of environmental, immigration, local government, and planning law. Many of his cases raise novel human rights law points, and he has had the conduct of multiple cases in the European Court of Human Rights. He has been a member of the Attorney General’s A Panel of counsel since 2011. Robert Palmer maintains a broad public law practice, [and] he is also accomplished in commercial and regulatory judicial reviews. Robert’s wide-ranging public law practice embraces commercial and regulatory judicial review proceedings in both the Administrative Court and the Competition Appeal Tribunal. His experience includes international sanctions work, as well as cases in the aviation, energy, financial, pharmaceutical and telecommunications sectors. In addition, he has considerable judicial review experience in the areas of environmental, immigration, local government, and planning law. Many of his cases have a strong EU law and/or human rights dimension. R (Solar Century Holdings Ltd and others) v Secretary of State for Energy and Climate Change, Administrative Court: a judicial review of the Secretary of State’s decision to close the Renewables Obligation to new large-scale solar PV generation. HCA International Ltd and AXA PPP Healthcare Ltd v Competition and Markets Authority, Competition Appeal Tribunal: a challenge on judicial review grounds to the CMA’s decision to require HCA to divest itself of one or more Central London private hospitals. R (Total Lindsay Oil Refinery Ltd, Shell UK Ltd and others) v Secretary of State for Energy and Climate Change, Administrative Court: a judicial review of national measures implementing the EU Emissions Trading Scheme. R (Sarkandi and others) v Foreign Secretary, Administrative Court: a judicial review of the Foreign Secretary’s decision to propose five senior members of IRISL (Islamic Republic of Iran Shipping Lines) to be designated under EU sanctions. R (Swiss Air) v Secretary of State for Energy and Climate Change, Court of Appeal: a judicial review concerning the aviation emissions trading scheme, challenging the EU’s “Stop the Clock” Decision. R (Gottlieb) v Winchester City Council, Administrative Court: Robert is acting for the Claimant, a city councillor challenging the Council’s failure to run a procurement exercise in respect of a £165 million re-development scheme for Winchester city centre. R (Lord Carlile of Berriew QC) v Home Secretary, Supreme Court (2014): a judicial review by 16 MPs and members of the House of Lords, concerning the Home Secretary’s decision to maintain the exclusion from the United Kingdom of Maryam Rajavi, leader of the People’s Mojahedin Organisation of Iran (PMOI). Robert acted for the Home Secretary in the Divisional Court, Court of Appeal and the Supreme Court. AC Nielsen Co Ltd v Competition and Markets Authority, Competition Appeal Tribunal (2014): application on judicial review grounds challenging the OFT’s decision not to refer to the Competition Commission the merger between Information Resources Inc and Aztec Group (suppliers of retail measurement services). R (Home Secretary) v Southwark Crown Court, Administrative Court (2014): Robert represented Southwark Crown Court in defence of an application for judicial review by the Home Secretary, who challenged the court’s decision that there was no power to make a production order under the provisions of the Crime (International Co-operation) Act 2003, following a request for mutual legal assistance (“MLA”) from the Department of Justice, USA. R (Europäische-Iranische Handelsbank AG) v Foreign Secretary, Administrative Court (2013): a judicial review of the Foreign Secretary’s decision to propose that a German bank be listed under EU sanctions directed at Iran. R (Children’s Society) v Lord Chancellor, Administrative Court (2013): a judicial review of the Lord Chancellor’s decision not to extend the scope of civil legal aid to unaccompanied children’s immigration cases. Global Radio Holdings Ltd v Competition Commission, Competition Appeal Tribunal (2013): a challenge on judicial review grounds to the CC’s decision to require Global Radio to divest radio stations following its acquisition of Guardian Media Group Radio Holdings Ltd.
R (Corey) v Parole Commissioners of Northern Ireland, Supreme Court (2013): jurisdiction of the High Court to grant bail on an application for judicial review to a post-tariff life prisoner on finding a breach of Article 5(4) ECHR. BAA Ltd v Competition Commission, Court of Appeal (2012): judicial review of CC’s decision to require BAA to sell Stansted Airport. Merchant International Company v Naftogaz, Court of Appeal (2012): decision of Ukrainian courts in Naftogaz’s favour was in breach of Article 6 ECHR, allowing recovery of assets from Naftogaz in the UK. R (Blackbay Ventures Ltd) v Medicines & Healthcare Products Regulatory Agency, Administrative Court (2012): judicial review of decision to suspend wholesale dealer’s licence. Robert has a wide telecommunications practice, including appeals to the Competition Appeal Tribunal under the Communications Act 2013, price control appeals to the Competition Commission, judicial review applications to the Administrative Court, and reference to the Court of Justice of the EU on telecommunications matters. His clients have included BT, Virgin Media and Microsoft. British Telecommunications & Others v. Ofcom, Competition Appeal Tribunal (2017): Acted for BT in its appeal against Ofcom’s decision in the context of the Business Connectivity Market Review 2016 to mandate access to BT’s “dark fibre”. Colt Technology Services v Ofcom and BT, Competition Appeal Tribunal (2013): challenge to Ofcom’s decision not to require BT to allow communications providers access to its duct, poles and dark fibre. Case C-114/12, Commission v Council, Court of Justice of the EU (2013): acting for the United Kingdom in a dispute concerning the competence of Member States to participate in negotiations for a Convention of the Council of Europe on the protection of the rights of broadcasting organisations. Mobile Termination Charge appeals, Court of Appeal (2013): acted unled for BT in the Court of Appeal, Competition Appeal Tribunal and Competition Commission in BT’s successful appeal against Ofcom’s determination of mobile termination rates. Cable and Wireless Isle of Man Ltd v Communications Commission of the Isle of Man (2012): acted unled for the IOM Communications Commission in an application for judicial review by Cable & Wireless concerning the Commission’s decision not to open a competition investigation into Manx Telecom. R (BT and TalkTalk) v Secretary of State for Culture, Media and Sport, Court of Appeal (2012): judicial review challenging the measures in the Digital Economy Act 2010 tackling illegal peer-to-peer file sharing. Wholesale Broadband Access charge control appeal, Competition Commission (2012): appeal by BT concerning the treatment of BT’s pension deficit repayments in the calculation of price controls. Robert’s EU law practice includes regular appearances in the Court of Justice of the EU and the General Court of the EU, as well as in the domestic courts in cases concerning the infringement of EU law. Case C-148/14 Nordzucker, CJEU: interpretation of provisions on excess emissions penalties in greenhouse gas emission allowance trading scheme. Case C-409/13 Council v Commission, CJEU: power of Commission to withdraw a legislative proposal against wishes of the Council and Parliament. Opinion 1/13, CJEU: whether acceptance of the accession of a third country to the Hague Convention on the Civil Aspects of International Child Abduction falls within the exclusive competence of the Union. Case C-28/12 Commission v Council, CJEU (2014): representing United Kingdom in case concerning competence of Member States to conclude an extension of the EU-US air transport agreement (“ATA”) to Iceland and Norway. Case C-378/12 Onuekwere, CJEU (2014): effect of period of imprisonment on the acquisition of permanent right of residence. Case C-400/12 Secretary of State for the Home Department v MG, CJEU (2014): effect of period of imprisonment on ten year prior residence rule. R (Negassi) v Home Secretary, Court of Appeal (2013): claim for Francovich damages; leading case on the conditions of entitlement. Case T-434/11 Europäisch-Iranische Handelsbank v Council of the EU, General Court (2013): appeal against designation under EU sanctions directed at Iranian nuclear proliferation. Cases 63/12 and 66/12 Commission v Council, CJEU (2013): entitlement of employees of the EU to automatic salary and pension increases. C-12/11 McDonagh, CJEU (2013): entitlement to compensation and assistance to passengers in the event of cancellation of flights in extraordinary circumstances. C-360/10 SABAM, CJEU (2012): compatibility of a requirement on a internet service provider to filter the information it hosts for third parties with the E-Commerce Directive. C-83/11 Rahman, CJEU (2012): Member States’ obligation to facilitate entry and residence of “other family members” under the Citizens’ Directive. C-40/11 Iida, CJEU (2012): Right of residence in third country for parent of child exercising free movement rights. C-257/10 Bergström, CJEU (2011): eligibility for income related childcare benefit on the basis of income earned in Switzerland. C-186/10 Oguz, CJEU (2011): prohibition on Member States introducing new restrictions regarding the admission of Turkish nationals to their territory for the purpose of the exercise of freedom of establishment. Robert’s commercial and regulatory practice frequently involves substantial issues of competition law. He has substantial experience in a wide range of industries, including in particular the energy, financial services, health, pharmaceutical, and telecommunications sectors. Royal Mail Group v. DAF Trucks Limited & Ors, Chancery Division: follow-on proceedings based upon a decision of the European Commission which found an EEA-wide cartel to have existed amongst truck manufacturers. Advising the National Health Service of both Scotland and Northern Ireland in follow-on proceedings in relation to “Pay for Delay” decisions from the European Commission. Advising the Payment Systems Regulator on use of competition law powers. Advising the Payment Systems Regulator on Interchange Fee Regulation and other regulatory and constitutional matters. Advising the Competition and Markets Authority in their market investigation into Retail Banking. Global Radio Holdings Ltd v Competition Commission, Competition Appeal Tribunal (2013): a challenge to the CC’s decision to require Global Radio to divest radio stations following its acquisition of Guardian Media Group Radio Holdings Ltd.
SRCL Ltd v Competition Commission, Competition Appeal Tribunal (2012): challenge to CC’s decision that the acquisition by Stericycle Inc of Ecowaste Southwest Ltd resulted in a substantial lessening of competition (SLC). Robert acts for both claimants and defendants, handling cases across the full breadth of immigration and nationality work, with particular emphasis on EU freedom of movement law, and national security work. He also acts in the fields of asylum, torture and claims involving deprivation of liberty. MS (Algeria) v Home Secretary, Court of Appeal (2011): entitlement of the Secretary of State to rely on assurances from the Algerian Government on deporting a person no longer believed to represent a threat to national security. Robert has acted in a wide range of environmental judicial review cases. His environmental work is also well informed by considerable experience in planning law. R (Greenpeace Ltd) v Secretary of State for Energy and Climate Change, Administrative Court: advised Greenpeace on the adequacy of the Secretary of State’s environmental assessment of deep sea oil drilling projects, following the Deepwater Horizon disaster in the Gulf of Mexico. 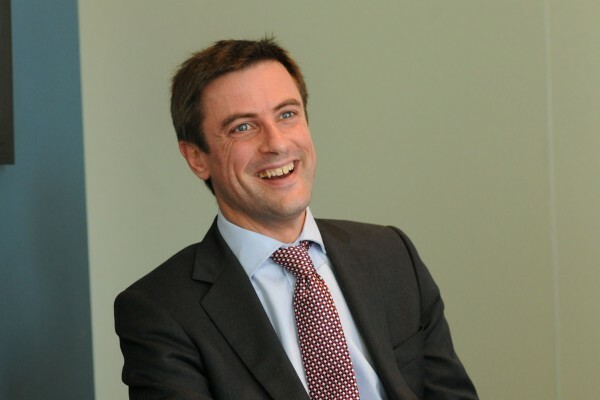 Legal 500, 2011 recommends Robert Palmers as a leading junior in Planning. Robert gained a first class honours degree at St. John’s College, Oxford in Philosophy, Politics and Economics (1996), and was elected President of the Oxford Union (1995). He obtained a Diploma in Law with commendation at City University (1997). At Bar School, he came first in his year and was awarded the Scarman Scholarship, with a grade of “Outstanding” (1998). He was also awarded the Macaskie Award (1998), a Prince of Wales Scholarship (1997) and a Karmel Award (1996) by Gray’s Inn. Robert is a member of the Administrative Law Bar Association (ALBA) and the Bar European Group (BEG).